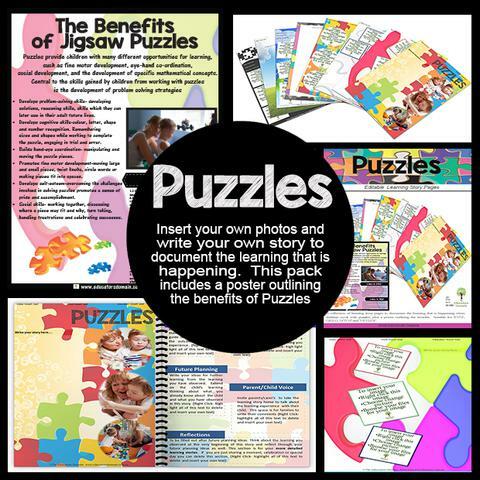 Puzzles provide children with many different opportunities for learning, such as fine motor development, eye-hand co-ordination, social development, and the development of specific mathematical concepts. 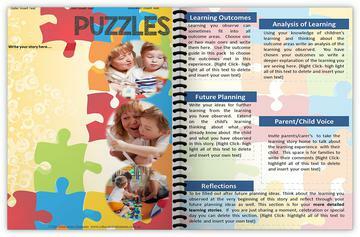 Central to the skills gained by children from working with puzzles is the development of problem solving strategies . 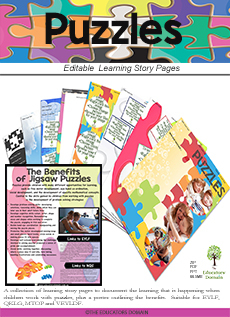 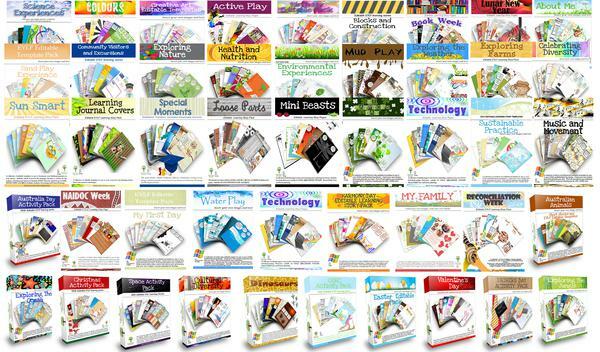 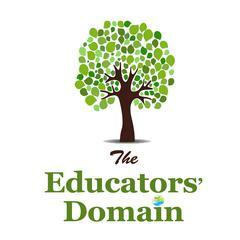 This set includes a collection of editable learning story pages, PLUS a poster outlining the benefits for young children when working with puzzles.